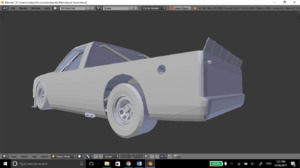 this is my first attempt at making a mod for beamng drive. 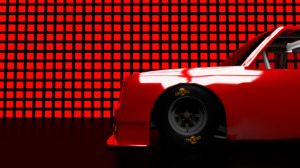 its a NASCAR stock car with a d series shell. based on the camping world truck series that races alongside the main NASCAR series in america. NASCAR is famous for waving a caution flag to some of the biggest crashes in world Motorsport, so why is it that we are yet to see one of these amazing machines make an appearance in the game with by far the most incredible crash physics of any other? with open arms, anything that might be beneficial for me and this project. help me make this dream come true. I know it has been a while since I last did one of these, so I have a lot of progress to cover so let’s get straight into it. The interior texture map is pretty much completed now and is very detailed. The ignition system is done and has some nice signage, logos and details on the various components. The fire extinguisher and all the interior wiring and plumbing is now textured. The batteries now have some custom logos on them as does the radiator. the gauges are done and also feature some custom logos. 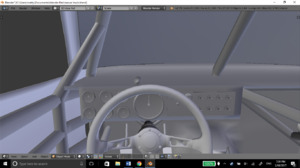 (the steering wheel uses stock beamng textures). the switch panels and warning lights are done for now. the engine bay has some nice detailed textures on all the hoses and wires. 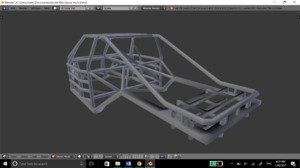 the chassis has also had a lot of texture work done. including nice weld detailing on the joints. the exhaust is something i am particularly proud of. 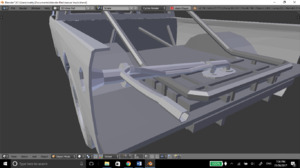 as far as the models go the only real change is the addition of the front anti-roll bar. The original front bumper is long gone and replaced with this smooth and far more period correct air dam. this does not mean that the mod will include interchangeable bumper designs. The old bumper with the braces was likely going to be a major headache to jbeam and the results would likely have been spikey. 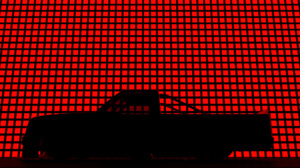 Still I think we can all agree that the new bumper is far nicer anyways. The hood has been cut shorter to make it more accurate to real life, the air duct is now separate from the hood and we now have two extra flaps. The hood is also smoother now. New plumbing has been added to the engine bay. The hoses and pipes are continued through the interior and back to the fuel cell and batteries. the front suspension is now complete. All components have been pinched from the original D-series due to their similarity in design to real NASCAR suspension. Plus, I was struggling to model the real thing. At least it gives me piece of mind knowing that the geometry of the suspension will be correct, and before you all go mental about the differences between the D-series and a real NASCAR truck, I would like to point out that the positioning of each component is completely different to the original, not to mention the way the suspension behaves will be completely different. There is probably something else I have forgotten but it cannot be that important. Thanks again for all your support and assistance. Once again if you have any questions, other than “when will it be done?”, feel free to ask below. Also, a special request, if anyone has any information on the weight of individual components of the NASCAR stock cars please let us know. the interior is pretty much finished modeling and i have begun unwrapping and texturing it. 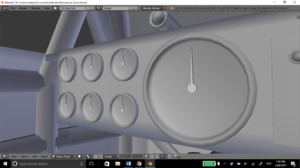 the gauges are textured and just need to be correctly rotated. 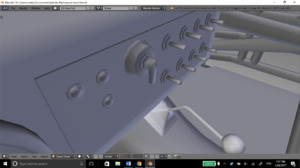 i have begun texturing the rear fan. 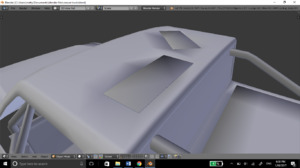 in terms of the actual model i have added some more details to the inside of the rear of the car and underneath. if you have any suggestions or criticism about this latest little update feel free to leave a reply and thanks to everyone for being so supportive and enthusiastic about this project, it really helps me out. so i know it has been a while but i have finally completed some more work on the project. i have also started adding some extra details to the cockpit. i have added a fire extinguisher and hoses running off that. i have also modeled the ignition system, (don't know the exact name) the different modules are modeled including two ignition coils, two MSD boxes and a selection of other modules all wired together as they should be. it still has a fair bit of work to go on it but it is really getting there now. expect more updates to come soon and keep on asking questions and your suggestions and criticism are always welcome. 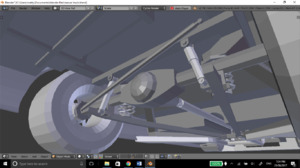 i have now finished the rear suspension, everything is done from scratch apart from the shocks and springs (which are taken from the moonhawk). 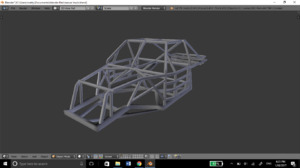 the point were the track bar attaches to the chassis has not yet bean modeled because i need to work out the best way of making it (if you didn't see my post from earlier today i plan on making the track bar adjustable while driving). the body has been cut into separate body panels. 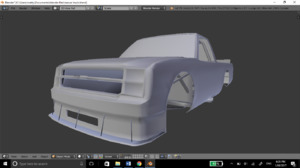 the front and rear bumpers/panels, front and rear quarter panels, door panels and roof. 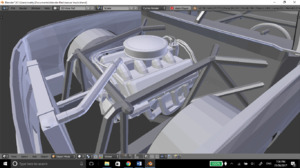 i have replaced the 423 engine with the smaller more accurate 353 mesh from the barstow, i have also made new headers and exhaust pipes. 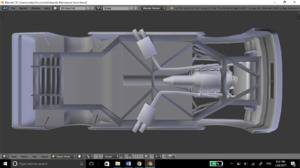 the model is getting close to completion now, i hope to have it done by the end of next month, of course depending on school. 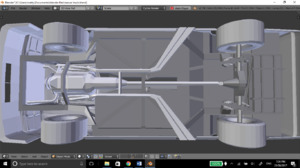 i still have to model the front suspension and would appreciate if anyone could provide me with close up photos of this area (other than from google images). 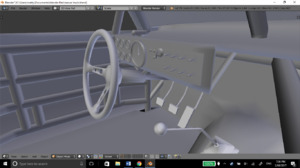 i also have to finish the interior details like the seat, wiring and hoses on the floor and other details like fire extinguishers and electronic equipment, really just to fill in that empty space next to the driver. again close up photos are appreciated and requested. thanks you all so much for your continued support. so far things have been going extremely well and i have no intentions of letting all this hard work go to waste. also i would like to especially thank carlosjr for the amazing work he is doing on the engines and drive train. 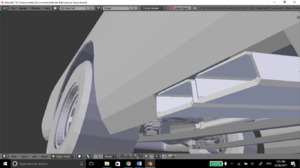 i would like to thank beamng for providing me with a tire mesh that is so close in dimension to real NASCAR tires that just a few tweaks was all it took to end up with a tire that will work beautifully for my mod. 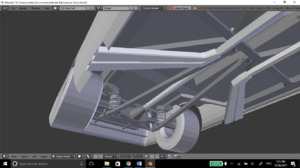 the tires are the 15x14 drag tire meshes which i have tweaked slightly to make them fit the rims better. just to prevent any confusion for people less familiar with how beamng works. 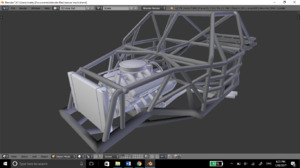 i am only using the drag tire models, the jbeam files (the thing that makes the physics work) will be completely redone so that in the game the tires will perform as they should, like NASCAR tires. 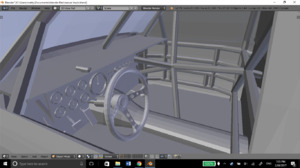 next task is to make the drivers seat and add extra details such as wiring, hoses and other electronic components. if anyone has any suggestions for the interior do please share them with me. plan on posting any updates to the project when as regularly as i can. i im working on this in my free time so how regularly i work on the project will depend on how busy i am with school. i want to try and have it working and available to download and play with by the end of the year but as i said it all depends on school. 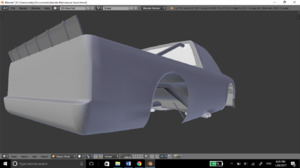 the body shell comes from the base file of the regular d series but as you can see i have made some pretty significant changes. 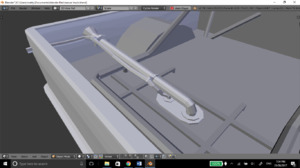 other features include roof flaps witch i hope to make function in a way that closely mimics reality. Looking pretty! 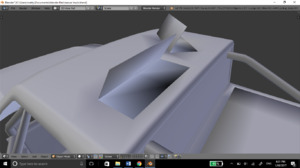 will this be a seperate vehicle? Woow you've got a lot of progress so I hope this won't die! Really good job, can't wait to see the "released" tag! and a little suggestion: maybe a version of SCCA Race Truck Challenge? 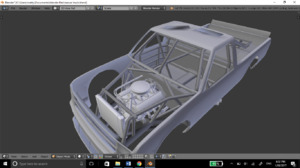 great progress i seen many people who got the distance you have gone, but they have stopped, i would love to see you keep this going, it would be amazing if you could release the files for skinning as soon as you can so we (NASCAR fans) can make skins for your mod, and please keep copyright out so u can publish it on the workshop! Will you only be using the 423, or will you be using other engines too? 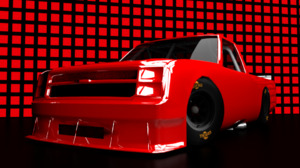 i was trying to base it on the 1995 series or around that time period but i dont think it matter to much on when that car was "in production" versus when the nascar trucks were racing. Do you know how to make jbeams? Also, if you need more beta testers (once you reach that stage) then I'm here too! Looking really good so far! After this will you make some more official cars into nascars? Anyway this looks awesome! Especially as it's your first mod.